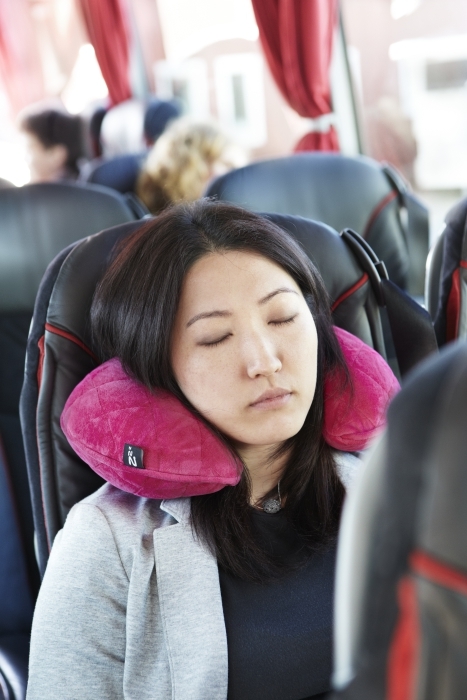 Neck pillow – A neck pillow allows you to take a nap without waking up with an ache in your neck or back, since it supports your head while you are asleep. Look for one that is inflatable so that it occupies minimal space in your bag, and this will allow you to regulate the firmness of the pillow as per your preferences. A pillow that comes with a removable quilted cover is not just comfortable, but hygienic too, since you can wash the cover after every use. Rain gear – Don’t let the rain wash away your meticulously planned itinerary! Carry along a foldable rain poncho so that you are always prepared for wet weather. A poncho that folds up into its own pocket is a great space saver. Do make sure it comes with a snug hood that prevents rain from sneaking in, and a handy pocket for keys, maps and other essentials. If you’d rather carry an umbrella then check out something sturdy and foldable, that needs only one hand to open it. Seat pads – If you’re going to be doing a lot of sightseeing that includes watching open-air performances and parades, a seat pad is what you need. A padded seat pad transforms a hard bench or even the ground into a comfortable spot for you or a child, and this can be a life-saver when everyone is tired and cranky. Packing accessories – To stay organised while on the move divide your things and pack them in smaller accessory bags. A roomy toilet kit can hold your main bathroom essentials, use separate ones for medicines, makeup, jewellery and shaving gear. Pack your shampoo, conditioner, bodywash and lotion in smaller leak-proof bottles in different colours so that you don’t have to carry around those big containers. Also pick up a set of packing bags that let you pack your clothes in different compartments; this makes them so much easier to locate, and avoids material getting crushed in the suitcase. These travel accessories are not just practical but smart to invest in since they are inexpensive and re-usable. Have them on hand and you will find your travel becoming stress-free and very fulfilling.